A network license for Softimage 2010 will allow you to run either 2010 or 7.5. To run 7.01 or 6.5, you still need to get an SPM license. Here’s the license definition for a Softimage Advanced interactive license (the interactive license is the license that allows you to run an “interactive” session of XSI.exe). A Softimage Advanced license file will also contain similar PACKAGE and INCREMENT blocks for each of the 5 Batch licenses. C208 9603 826B 7E0E 50D8"
A month or so ago the Google groups search really went downhill. All of a sudden my search results starting coming back empty or near empty. And I’m not the only one to notice. For example, searching the XSI Mailing List Archive for dual monitor finds 2 results, and I know there are others. Searching Google Groups for dual monitor xsi_list gives better results. If you’re having problems with your XSI 7.01 (or 6.5 or 6.0 or 5.11 or 4.2 or …) license, you can contact the Softimage licensing team through this Web form. For example, if you reinstall your OS and you need a new SLP license, then use that web form. As of Softimage 7.5, you get unlimited batch processing. Before, you got 8 Processing tokens with Advanced and 4 with Essentials. You can subscribe to the KBs for other products like Maya, Mudbox, and MotionBuilder. Go here to get the RSS feeds for those and other products. 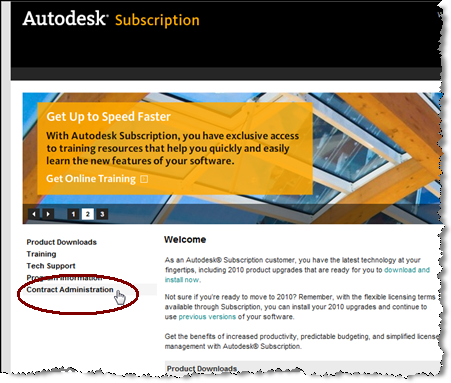 I subscribe to the RSS feed for AutoCAD, because they always have the latest info on licensing. For the 2010 release, you will get a 2010 serial number. When Softimage 2010 is released, the download version will probably be available a couple of days before the physical shipments go out. So customers on Subscription can go to the Subscription Center to download 2010 and get their 2010 serial numbers. When the physical shipments go out, you’ll get an e-mail notification that includes your 2010 serial number. The 2010 box will also include your serial number. If you are on Subscription, you’ll be able to get your 2010 serial numbers from the Subscription Center. Log in to the Subscription Center. 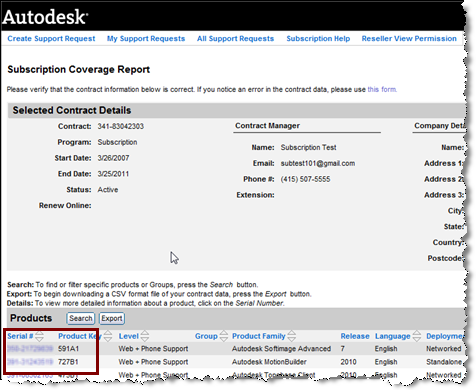 On the Contract Administration page, click Coverage Report. 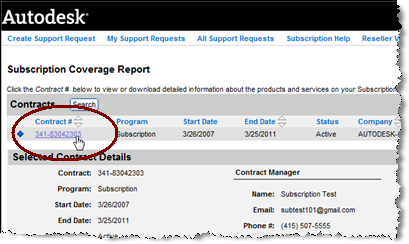 On the Suscription Coverage Report page, click a Contract #. 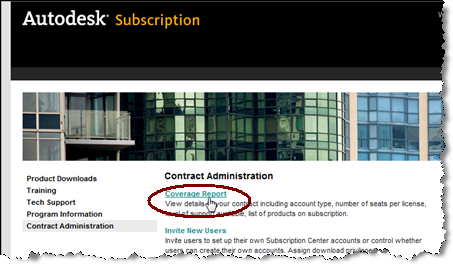 Under the Products section of the Subscription Coverage Report, you’ll find your serial numbers. autodesk.com/softimage for the main Softimage page. autodesk.com/softimage-support for the Support page. Note that the URLs are case-sensitive. You have to type softimage, not Softimage. In Softimage, you can enable the diagnostics in the Render Manager, by going to the Diagnostics tab and selecting the Information and Progress check boxes. If you’re working on the command-line with xsibatch, you may not want to start up Softimage just to select those check boxes. So, here’s how to do from the command line: just add -script and -verbose “on” to the xsibatch command line. xsibatch -render "\\server\project\Scenes\Example.scn" -frames 1 -script verbosity.js -verbose "on"
If you set the VerbosityLevel to 252, you will get the Basic and Detailed Debug log messages too. Now that I’m part of Autodesk, all kinds of calls come through to my phone. For example, the other day I took a Toxik 2009 support call. The customer couldn’t get his license to work and I was the sixth person he had spoken to, so I helped him out. Toxik 2009 standalone licensing does not work on 64-bit Windows. You need to contact your reseller or ABC and get a network license. The LMTOOLS that ships with Toxik does not work on 64-bit Windows. Download the latest version of AdlM and use it instead.